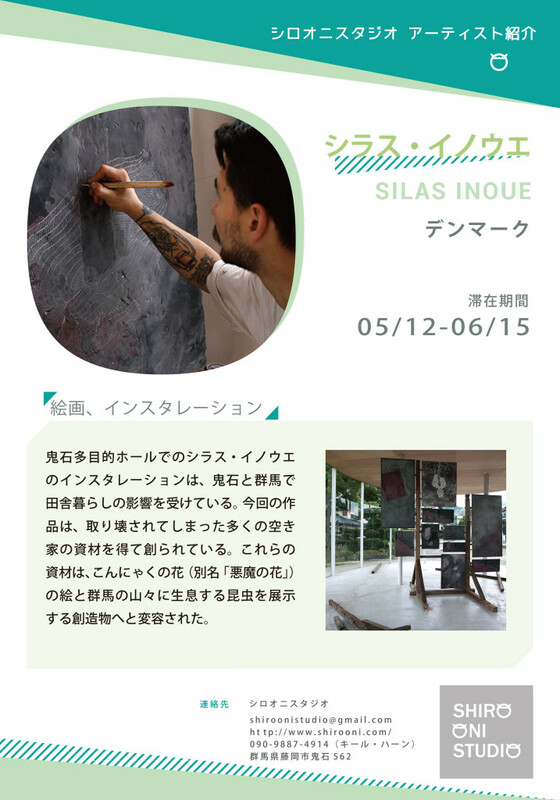 Silas Inoue´s installation at Onishi Civic Center is affected by the rural living in Onishi and Gunma. It is mainly built from materials from some of the many empty houses that have been torn down. These materials have been transformed into a construction, which displays paintings of the Konyaku flower (also known as Devils Tongue), and insects from the surrounding mountains.